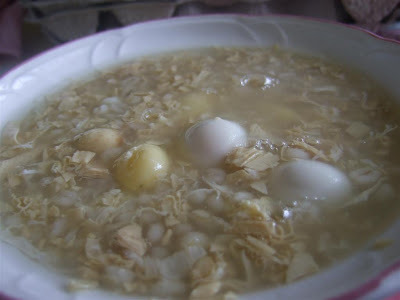 Traditionally, this sweet soup (tong sui) is usually made for pregnant ladies and is thought to give the babies a fairer skin. I decided to do more research on the health benefits of the ingredients. Barley has recently been researched to help lower cholesterol and blood pressure. Barley is also good for your bladder. Gingko nuts, are considered lung soothing and is prescribed in TCM for bronchitis, asthma, cough, and numerous other conditions. 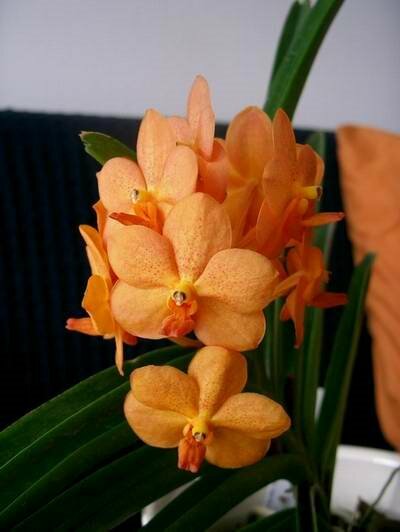 It is also said to be good for the brain and memory boosting. The recorded use of ginkgo seed in China for food and medicine dates back 2,000 years. Although one should not eat more than 8 gingko nuts per day, as too much can be toxic. 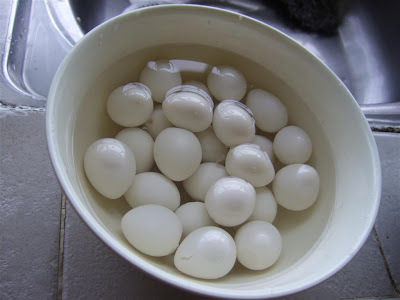 Chinese medical practitioners have used quail eggs for thousands of years to successfully combat allergies such as rhinitis (sensitive sinus or nose) , asthma, hay fever, spasmodic cough and skin conditions such as eczema and psoriasis. More recently they have been used in Russia and Poland, and they are widely available from pharmacies in France, Switzerland and Germany. 2 packets Of Ginkgo Nuts (白果) - can buy from fridge section of Hua Ho near their fresh mushrooms. 1. Rinse barley in several changes of water until water runs clear. 2. Place barley in a stock pot with water and pandan leaves, bring to boil and low the heat and simmer for about 15 minutes. 3. 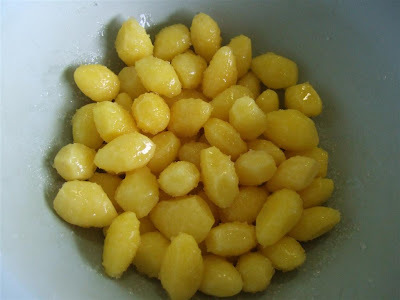 Meanwhile, marinate the ginkgo nuts with 1-2 tablespoons of castor sugar and set aside. 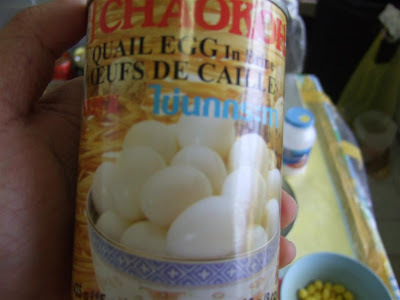 At the same time, drain and wash the quail eggs from the can, then soak them in water with 1-2 tablespoons of sugar. 5. 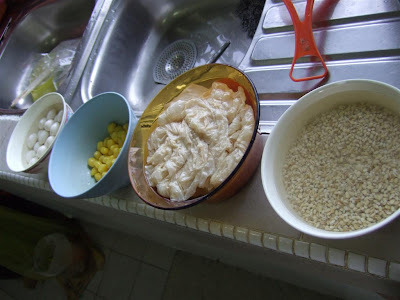 When the barley water is done, removed the pandan leaves and add in the bean curd sheet and simmer on medium heat for about 20 minutes. 6. Next add in the rock sugar and ginkgo nuts then continue to simmer for about 10 – 15 minutes depending on how scattered you want the bean curd sheet to be. 7. Lastly, add in the beaten egg and stir until well combined . 8. Add the quail eggs, stir well, then kill the heat. Serve it warm. haha! Yes I did read a lot bout those but I din expect SHanny will also go around collecting gingko nuts! Gingko's pretty cheap in Brunei .. 2 packets Singapore dollars for $2. I should digg your post so more people can look at it, really helpful, I had a tough time finding the results searching on the web, thanks.